In this APN Blog series, we are looking at how to use Amazon Elasticsearch Service with Kibana for identity federation. 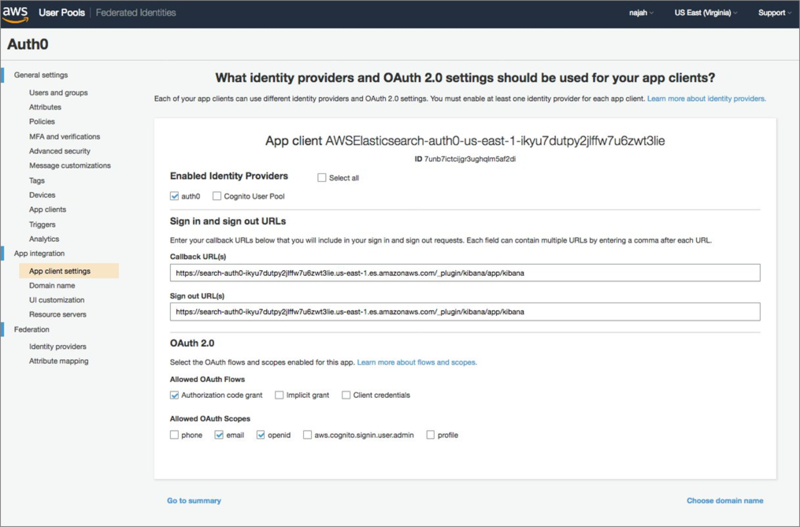 This is our second post in the series, and we’ll walk you through the integration of Auth0 with Amazon Elasticsearch Service using OpenID Connect (OIDC). Auth0 is an AWS Competency Partner and popular Identity-as-a-Service (IDaaS) solution. 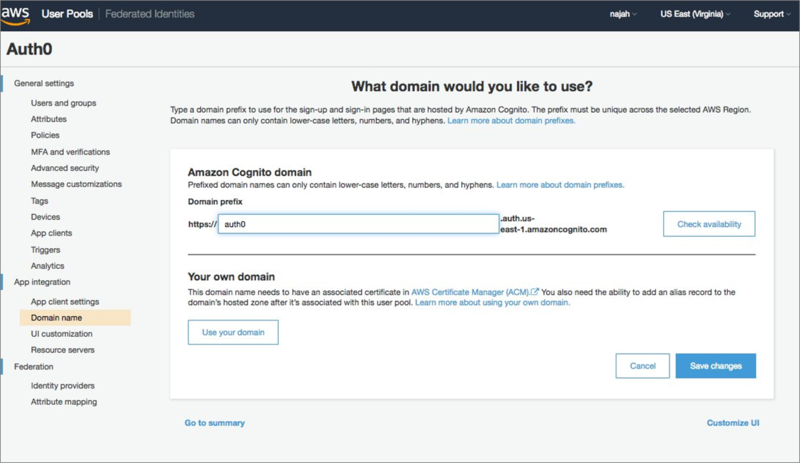 You can establish trust between Amazon Cognito User Pool and an OIDC-compatible Identity Provider (IdP), such as Google, Salesforce, and many others. 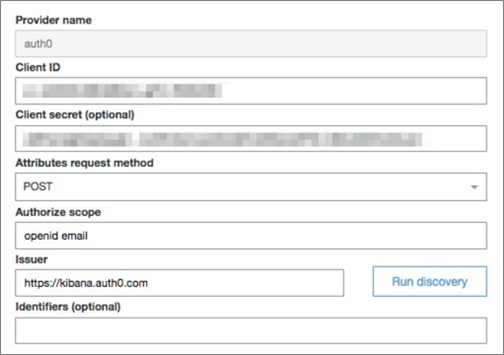 With Amazon Cognito User Pool, you can extend your company’s directory so that OIDC providers are able to sign in to Kibana with the same security credentials. Here, you will use Auth0 as the IdP to integrate with Amazon Cognito to sign in to Amazon Elasticsearch Service and the Kibana dashboard. The following diagram shows a brief architectural image, which we’ll build through this post. Before starting, please create an Auth0 account if you don’t have one. Log in to Auth0 with your Auth0 credentials. In the left pane, select Applications, and then choose Create Application. Follow these steps to create the Amazon Elasticsearch Service domain. Create a domain name to integrate with Amazon Elasticsearch Service to provide support for the authentication UI. You need to select a unique domain for every region. In Amazon Cognito, navigate to your Auth0 User Pool. In the App integration section of the navigation pane, choose Domain Name. For Domain prefix, type auth0. Note that we used “auth0” as an example; please use a unique domain name in that Region. The format of the domain name is https://<CognitoDomainPrefix>.auth.<region>.amazoncognito.com. Choose Save Changes to create the domain. 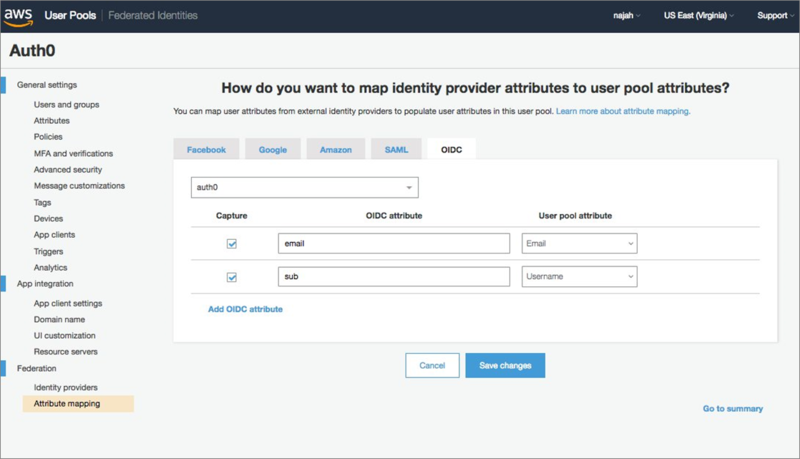 In the Federations section of the navigation pane, choose Identity Providers. 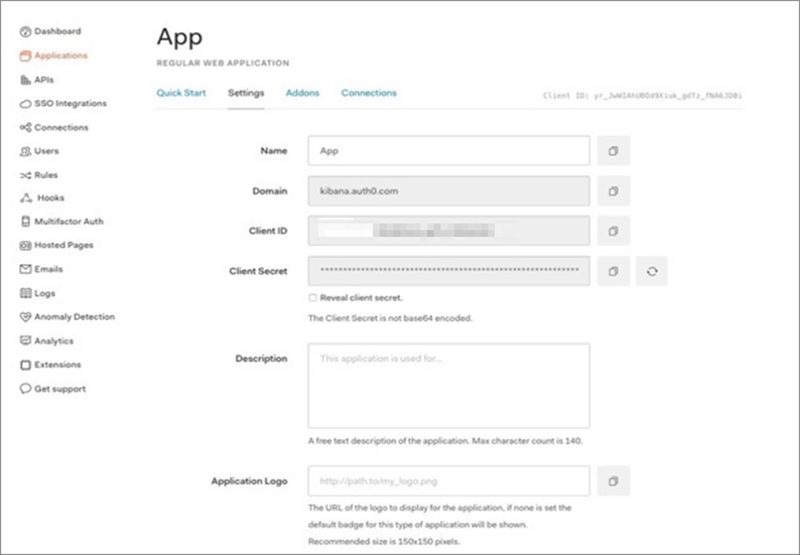 For Issuer, type your Auth0 hosting URL, which looks like this by default: https://kibana.auth0.com. 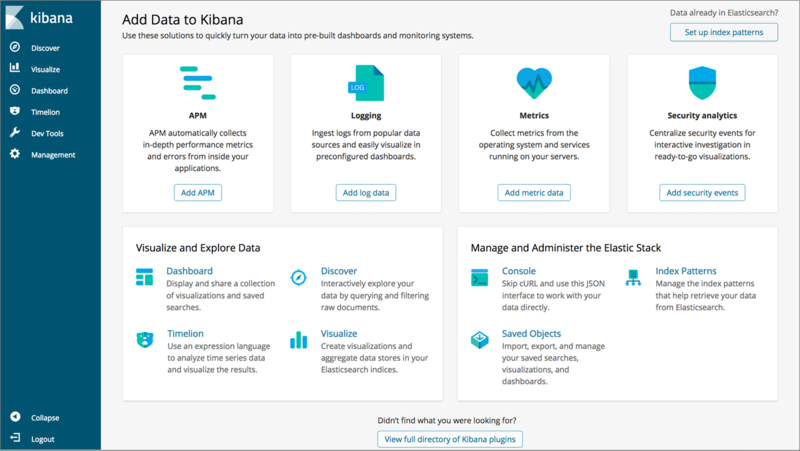 Please replace “kibana” with the domain you have created in Auth0, and choose Run Discovery. Wait for the discovery to run successfully. You will need to configure attribute mapping to map Auth0 provided attributes to user pool attributes. Go to the Attribute mapping page of your Amazon Cognito console. Notice that on the OIDC tab, email is the address of the user that’s returned from the IdP and sub is the unique identifier of the user. In the App Integration section of the navigation pane, choose App Client Settings. 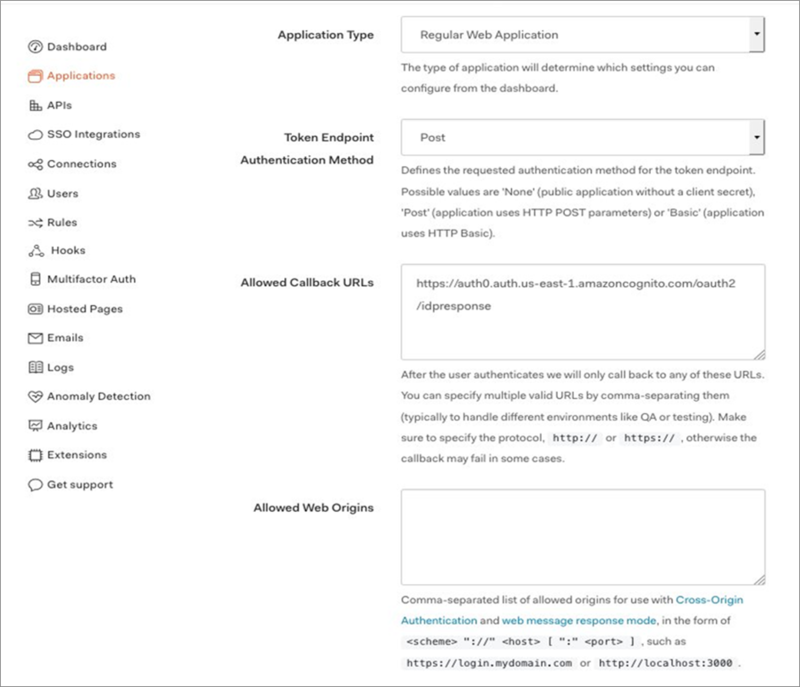 For Enabled Identity Providers, select Auth0 to enable federation. For Allowed OAuth Flows, select Authorization Code Grant. For Allowed OAuth Scopes, select Email and OpenID. Log into the Auth0 website with your credentials. Choose Applications from the left pane. Click Settings from the configured Application. For Token Endpoint Authentication Method, choose Post. For Allowed Callback URLs, copy and paste the following URL. Remember to choose the appropriate region and domain in Amazon Cognito: https://<CognitoDomainPrefix>.auth.<region>.amazoncognito.com/oauth2/idpresponse. Access the Kibana endpoint from the previously created Elasticsearch cluster. The Kibana URL can be found in the Overview tab within “My Domains” of the Amazon Elasticsearch console. The first access to Kibana URL redirects you to the Cognito UI Endpoint and provides the option to select the appropriate corporate ID. Next, choose Auth0 as corporate ID. This option redirects you to the identity provider Auth0 to provide authentication details. 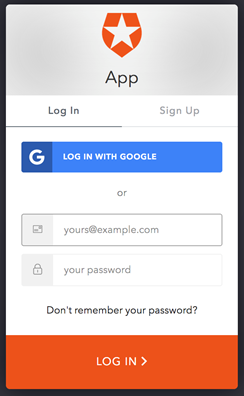 Then log in with the username and password you created in Auth0. After login, you are redirected to the Kibana dashboard. After login, you are redirected to the Kibana dashboard. In this post, we provided the integration steps for Amazon Elasticsearch Service and Kibana with Auth0 (OIDC) using Amazon Cognito pools for enterprise authentication. 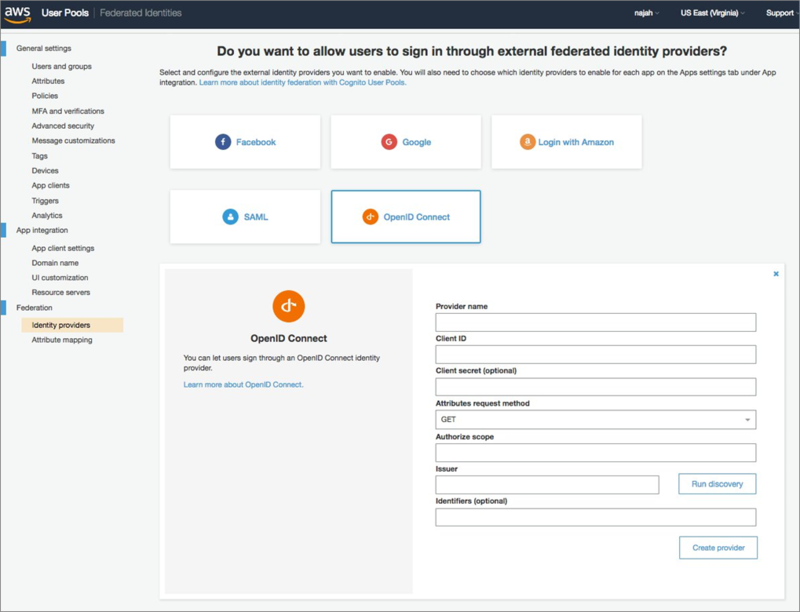 You can also customize your login page and configure advanced security with Amazon Cognito. For more information, see the Amazon Elasticsearch Service documentation. Please check out the first post in our APN Blog series: Using Amazon Elasticsearch Service with Kibana for Identity Federation – Active Directory.